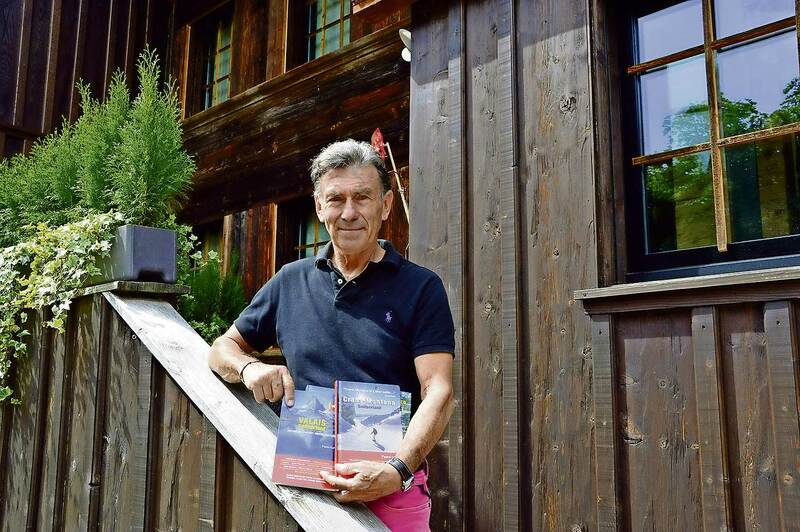 Farrol Kahn‘s book on Gstaad is about local personalities who live and work in the region. He'd now like to obtain pictures for the book and is running a photo competition. Visitors derive great entertainment and pleasure from things that are part of the normal daily routine for locals. Farrol Kahn is using this to arouse the curiosity of potential visitors to the Saanenland. He’s already written several similar guides. For example, in his book about Montreux, he gave an overview of this Mediterranean city, including the kinds of intricate details he could only portray through having contact with the people who live there. Why are the people here so friendly? For Farrol Kahn, this question is the focus of his book and he uses it to encourage people to visit the Saanenland. We’ve all seen the “glamorous pictures of Gstaad” and the Saanenland as a retreat for the “rich and famous”. That’s why he’s consulted the locals to find out about the origins of the charm and friendliness he’s encountered in the Saanenland. “The traditions that guests benefit from are still an active part of everyday life here,” explains the author with much enthusiasm. “People make their living through traditional crafts.” He is convinced that this authenticity has a great appeal. The opportunity to identify with the people featured in the book will attract potential visitors. Public figures who were born and raised in the Saanenland and have spent most of their lives here tell their story in this book. The reader will learn things that even locals may be surprised to read. This will help the reader to identify with “everyday life”. Interest is aroused by the unique roles and unexpected events that the main characters in the book live out on a day-to-day basis. The author Farrol Kahn is very much a cosmopolitan character. Born in South Africa, his life journey has taken him through New Zealand, Greece, Great Britain and Switzerland, where he’s now settled. He chose to be an author through a desire to exert an influence and move people through his writing. In both his specialist books (such as The Curse of Icarus: The Health Factor in Air Travel), as well as in his travel guides, he combines well-researched facts with well-founded data and subtly appeals to the reader to take on board the subjects he’s dealing with. Faroll Kahn is looking for photos for his book on Gstaad that reflect the authenticity described above. “Who better to provide photos than the people who live here and know the Saanenland,” says the author, explaining his plan to include locals and guests in the design of his book through his photo competition. Those entering the competition are free to choose the subject of their photos. Photos could be, for example, the yodel club during rehearsals or a farmer milking his cows. All subjects are welcome. Entrants could also take photos of their favourite place in the Saanenland or maybe a picture of something completely unique to the area. Anyone between the ages of 8 and 80 can take part. Photo resolutions should be as high as possible (min. 1 MB) and sent to farrol.kahn@bluewin.ch. A jury that will include the author will choose the ten winning pictures after the closing date on 31 January 2019. These photos will then be published in the book on Gstaad.